An Awesome Day I Will Remember Forever with My KaBoat! 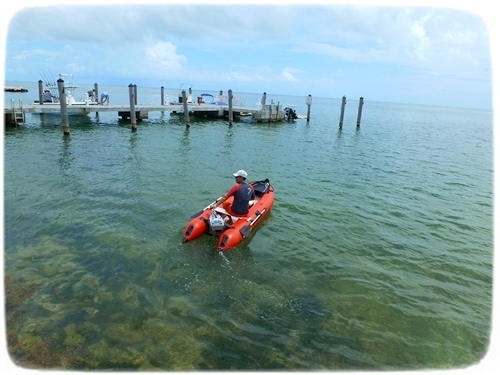 HomeBoatsToGo - Blog About Inflatable Boats, Inflatable Rafts, Inflatable Kayaks And More...An Awesome Day I Will Remember Forever with My KaBoat! When I first saw this crossover between an inflatable kayak and an inflatable boat, my mind went racing. Like when you see something that is so cool, you can't believe it. It's called the KaBoat, and being an avid fisherman, athlete and all around outdoorsman, my mind raced with all the possibilities. You normally think of a kayak as a one-man vessel, but the KaBoat was so much more than that. For starters, it is so affordable that even on my tight budget, I was thinking I could actually afford this. How great would that be; I could take out my friends, pack enough gear, and explore until my hearts content. Seriously, this is making me think I have to have it. In fact, the next day, I went out and bought it. Best decision ever. With its narrow hull, it turns out you can run this boat with an electric outboard. At first I was thrilled about how inexpensively I could buy this, but add to it the eco-friendly component and you really have a sleek and modern boat. You can transport this inflatable kayak slash boat very easily, so I figured I’d get my buddies together for a road trip to check out the scene in Miami. Clear blue water, sunshine, and comfortable affordable fishing; you really can’t beat it. Anyhow, my pals were on board, so to speak, and we drove my latest toy over to the public marina, put it in the water, and set off for a fun day. When you look at the boat, it reminds you of something familiar. Then you realize it looks like those Asian Dragon boats you’ve seen online. The slim hull makes for a very smooth glide, steady enough to partake in a refreshing beverage and toast with your friends. So you set out on the smooth blue waters of Emerald Lake in Biscayne Park, Florida. There are lots of options as you easily make your way across the water with your three buddies on board. You end up at Bakers Haulover Inlet where you’re amazed. You actually catch a few grouper and snapper making the day even better. It takes you about thirty minutes to reach this spot. Since we had my new favorite toy, the inflatable kayak slash amazing boat, we used no fuel with our electric outboard, and were confident going this distance because of the boats safety and integrity. You actually can explore so many more waterways because of the size and design which allows easy access to find hidden fishing holes. Arriving back at the marina after discovering some great new places to fish and relax, we all headed up the way to prepare our beachside feast of Amber Ale Grilled Snapper and Grouper. We invited our girlfriends over, lit a bonfire, and had hours of fun. It didn’t hurt having the sound of crashing waves in the background. You would be surprised how something so small and lightweight as the KaBoat could entertain so many people, and help create a day that you’ll remember forever. 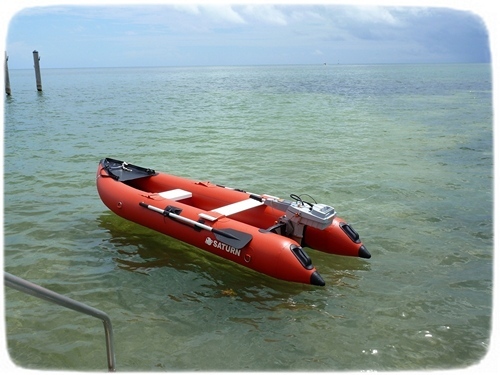 Inflatable Crossover KaBoat is offered by BoatsToGo.com at low prices.